Covering the northwest corner of the city, the Richmond police district is largely residential, but also includes the long commercial, shopping, and restaurant corridors of Geary Boulevard and Clement Street, most of Golden Gate Park, the Golden Gate National Recreation Area and the University of San Francisco campus. Built in 1927 in a red-brick Romanesque Revival style, the station was remodeled and reopened in 1996. In keeping with the desires of many local residents and merchants, all the main original design elements were retained. Additions were constructed of reinforced concrete and steel, and the seismically upgraded station includes a community room, a lunch and exercise room for officers, expanded locker space and public art. Captain Michelle Jean was born Gridley, California and grew up in Yuba City, California. She joined San Francisco Police Department in 1991. Her father, a retired police Captain in the Sutter County Sheriff’s Department, inspired her to pursue a career in law enforcement. She began her SFPD career with assignments at Bayview, Tenderloin and Park stations. As a Sergeant, she worked six and a half years at Ingleside Station. After being promoted to Lieutenant, she served at Mission, Richmond and Tenderloin stations. 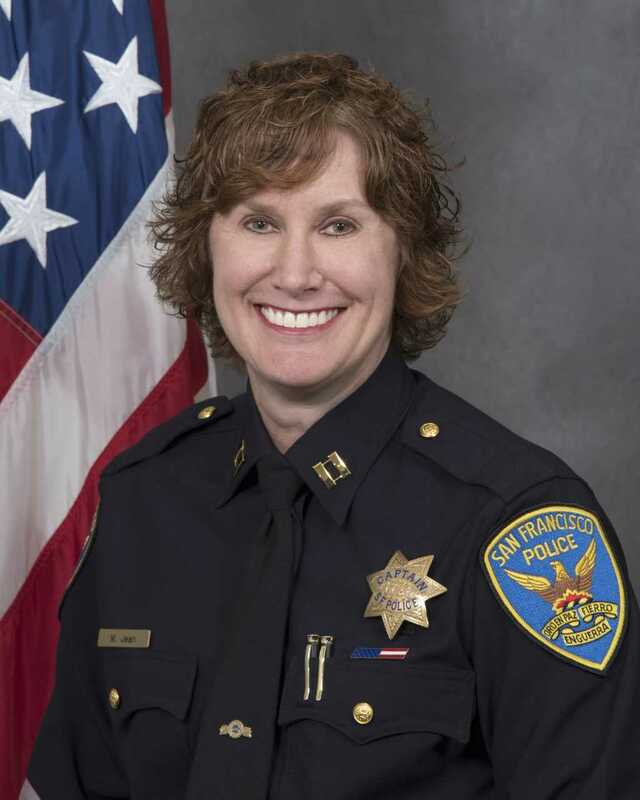 She also worked in the Department’s Special Victims Unit, followed by an assignment with the Internal Affairs Division and at the SFPD Academy, before being appointed to Captain and serving in the Homeland Security Unit. Upon graduation from the FBI National Academy, she was assigned to Richmond Station in 2018. Please call (415) 666-8000 for more information. Community Updates are an information newsletter to inform the Richmond residents of incidents occurring in the district.